Built in Montreal, Quebec in 1998 the boat is a Canadian custom built trawler. Owners Ted and Diane Greene purchased the Boatel from the builder in 2004 and brought her to Toronto to operate as a Boat Bed and Breakfast during the summer and after they cruise to the Bahamas for their winter vacation. 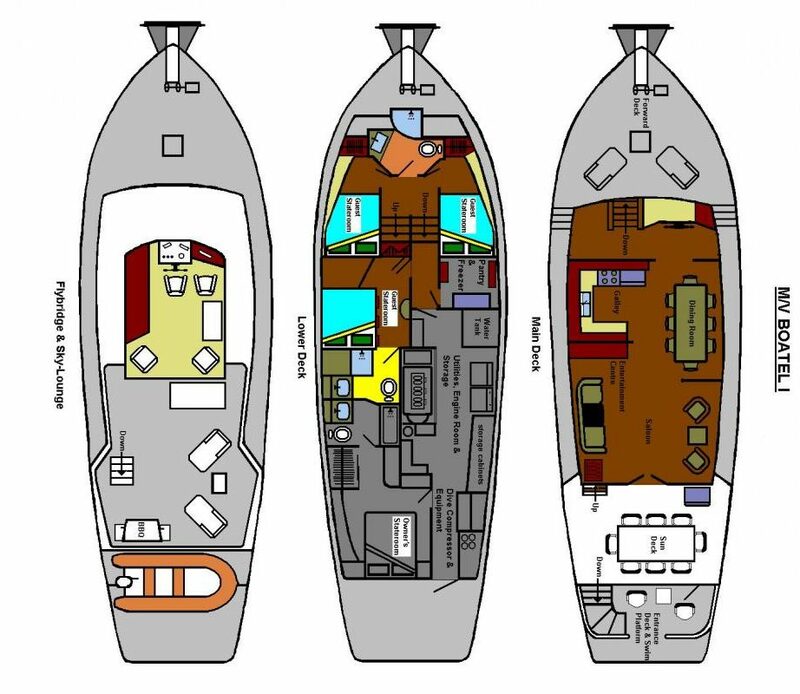 The Boatel offers an exceptional layout for a 65-foot boat with all the amenities of home. As soon as you step inside, you will feel right at ease with the rich wood mahogany interior and Brazilian cherry wood floors. The salon, or Saloon as it is called in nautical terms, is a comfortable gathering spot in the morning for coffee and conversation, with its leather sofa and rattan chairs in air conditioned comfort. A favorite spot for guests is the Sunroom where breakfast is served at the Captain’s table each morning. Surrounded on three sides with clear vinyl enclosure, which can be opened up or removed depending on the forecast. The sunroom provides both sunshine and shade in the heat of the day and has a bar fridge for cold drinks for guests. The Sunroom converts into the ultimate ‘boardroom with a view’ for our business guests looking to host meetings at a Hotel in Downtown Toronto near Union Station, and the Billy Bishop Island Airport. This floating hotel boasts three amazing decks to relax and enjoy the panoramic views of Toronto. Comfortable deck chairs on the forward deck (the front deck or the bow of the boat) where you enjoy the beat of the marina life. The Skylounge (top deck) offers you an unsurpassed vista of the Toronto Islands, the city and the harbour, but with privacy provided by the canvas sides. The lower entrance deck is at the water’s edge and is a great place to have a morning coffee watching the city wake up or sip a cocktail at the end of the day. Wherever you are on the Boatel, you will feel relaxed and comfortable aboard this waterfront hotel. 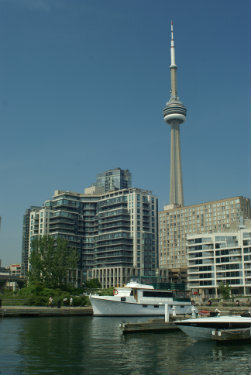 The Boatel is conveniently docked along the harbourfront at the foot of Spadina and Queens Quay West in Toronto and offers waterfront accommodations to visitors of the city. Please see our Photo Tour for more pictures of the Boatel or have a look around our Virtual Tour.